Many claim that books and films– politicians too—are frequently the result of a deliberate marketing strategy, that they’re designed by a team according to formulae based on earlier successes and applied like an algorithm to the market:–to win. “The Martian” may be one of these made-to-order productions, containing as it does, all essential ingredients– a star actor, an ethnically diverse cast, a futuristic theme, spectacular cosmic sets, high tech knowhow, and a heroic American plot. Americans will never tire of their need for muscular heroes engaged in the struggle between good and bad, challenging the forces of nature, triumphing in a valiant rescue. But maybe such needs are not limited to American tastes. Who doesn’t seek heroic resolutions and reassurance that a man’s (sic) intelligence and ingenuity will save us from human folly and tame the power of nature? 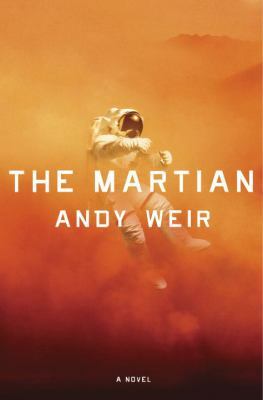 I can’t help wondering if Crown Publishers, who plucked “The Martians” from a self-published unknown (Andy Weir), and 20th Century Fox– within months of the book’s release they secured film rights, released the film in under two years, and rapidly snagged an Oscar nomination– had been searching for this very story. Following the new “Star Wars” and building on the popularity of space science and its spectacular recent discoveries, a human drama on Mars was inevitable. The movie’s plot is as credible as a person washed up on that desert island in “Castaway”. In “The Martian” we have a cosmonaut botanist Watney (Matt Damon) lost in future space (on Mars), using his wit and science knowhow to survive, and doing so on less than Tom Hanks had available in “Castaway”. In the end our space hero is rescued by the woman spaceship commander and her multi-ethnic crew, after tense months of negotiations between them and officials at NASA headquarters on earth. This drama equals that of “Apollo 13”, with Damon’s heroism matching that of Hanks (again). Except that “The Martian” tags a new partner: China. Filmmaking, like any industry, is sensitive to marketing statistics. Examining these, one begins to speculate about what drives films like “The Martian”. In 2014, one research agency announced how film entertainment worldwide was expected to grow from $88.3 billion in 2015 to $104.6 billion in 2019. Another survey notes how the international box office market is expanding rapidly in the Asian-Pacific region, where, we are advised, China is the market to watch. Thus film companies have their sights set on China’s filmgoers. Overseas auto sales may be declining but entertainment is an expanding revenue source for the USA. From science fiction (“The Terminator” series) to children’s education (“Sesame Street”), hundreds of US produced TV series and films are translated into dozens of languages and franchised for production by other countries. Futuristic spectacles like “The Martian” become big foreign revenue earners. Everyone enjoys drama; when it’s combined with credible science, special effects and a hero like Matt Damon, it’s a box office success. It’s also a political winner. As poet Amiri Baraka emphasized and filmmaker Spike Lee reinforces in his productions, everything is political. On the surface, unlike a Lee film, “The Martian” lacks any explicit political message. There are no fearless Marine snipers, no gallant lawyers defending minority rights, no environmentalists challenging corporate polluters, no journalists doggedly pursuing truth at any price. If we look back at the 1995 all-white-all-male “Apollo 13” cast, it’s clear we’ve advanced on some fronts. Of course “Apollo 13” was based on reality while “The Martian”, like “Star Trek”, is futuristic. And for America, true ethnic parity, while not science fiction, is not present-day reality.